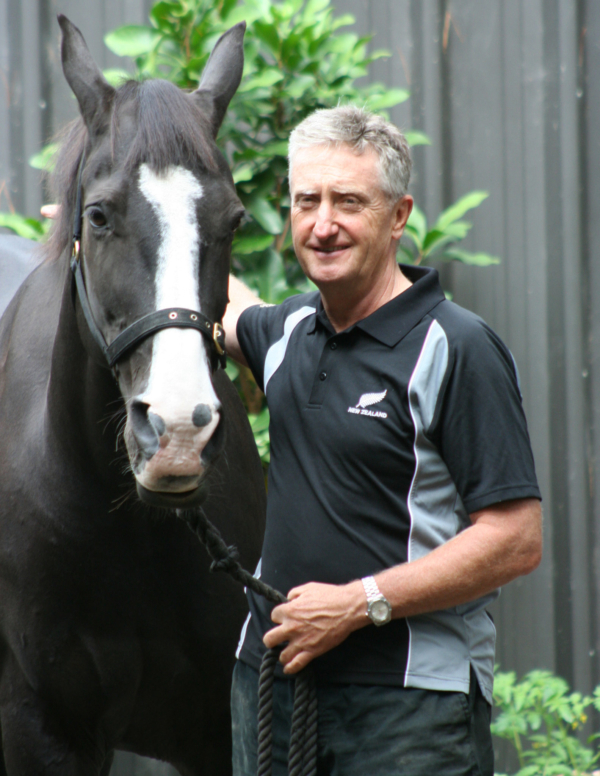 A horseman with an extensive equestrian background has been appointed as the new ESNZ high performance director through to the completion of the Tokyo Olympic Games campaign. ESNZ chief executive Dana Kirkpatrick today welcomed Simon Bennett to the team. He will replace the out-going Sarah Dalziell-Clout who has been in the job for the past four years. Simon comes from a strong equestrian background. He and partner Julie Evans have attended three WEGs and many other top offshore events in support of the Kiwis. He’s confident he will be able transfer his corporate skills across to high performance sport. “I am really looking forward to working alongside the team to ensure New Zealand gets the best possible result at the Tokyo Olympic Games.” He has visited the Japanese city a number of times and says the Games will surely be spectacular from an organisational point of view. Simon and Julie have a Limousin cattle stud at Boscobel Farms, just out of Pukekohe, where their focus is very much on high value beasts. Julie was an advanced eventer but now competes at level four dressage as well as hunting. Growing up in the Manawatu, Simon has ridden since he was a youngster, working his way through Pony Club, competing successfully in showing, eventing and showjumping, before moving to polo for 15 years and hunted for more than 45 years. A lifetime member of ESNZ, he worked on sponsorship for the Horse of the Year when it was held at Karaka and managed public relations for a New Zealand Polo test series. During his polo years he played in the Saville Cup, took a New Zealand test team to Zambia and was also a member of the winning team in the Zambian Open. Hunting remains his pastime of choice these days and he is currently deputy master of the Pakuranga Hunt with four hunters in work. His father Keith was chair of the Horse Society Central Districts Committee, was on the New Zealand Pony Club Association committee of management for 20 years, spent more than 30 years as a national showjumping judge, is a life member of the New Zealand Pony Club’s Association and a recipient of the Royal Agricultural Society Recognition Medal. Simon’s sister Susan Grayling has ridden for New Zealand in trans-Tasman eventing and is a dressage judge, while brother-in-law Matthew Grayling rode for New Zealand at the Athens Olympic Games and in many other teams.